The demands of the “fast fashion” industry have caused serious detrimental impacts on the environment as well as inhumane working conditions for many in the world. Encompassing brands such as H&M, Zara, and other large retailers, “fast-fashion” functions just how it sounds: instead of the more time-consuming process it takes designers to create garments for runways and local retailers, these companies expedite the process to produce clothing in bulk – fast. In order to produce clothing at such a fast rate, these companies have to compromise somewhere – and it boils down to environmental and social elements. 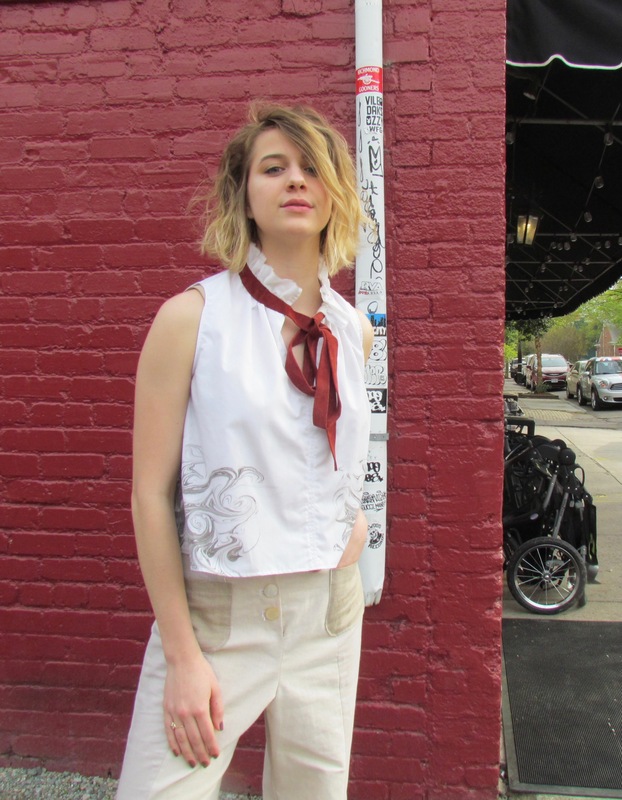 But in an effort to fight the era of “fast fashion,” a few Richmond designers are opting for more sustainable and ethical practices for their clothing lines. 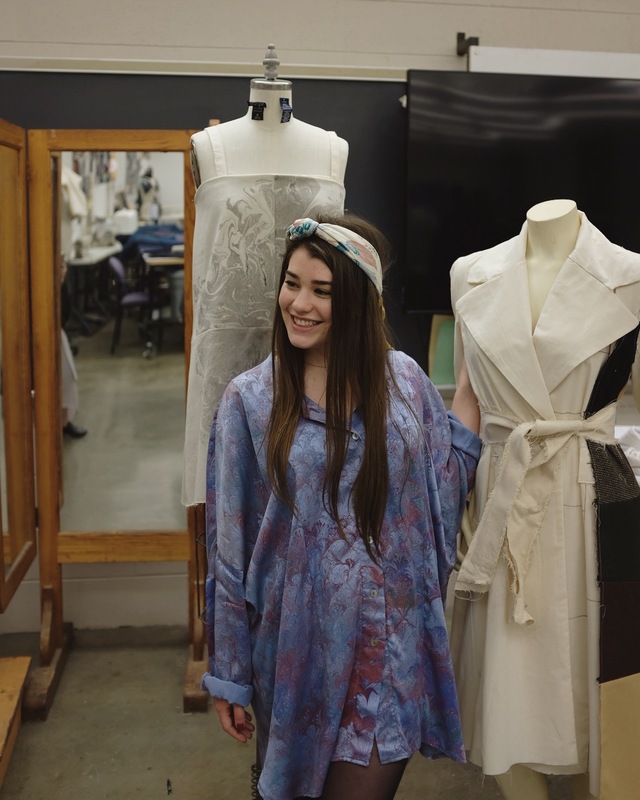 The VCU senior and fashion design major’s clothing lines consist of garments made from parts of clothing she finds in secondhand stores. Schraf searches thrift stores for fabrics she likes; then takes them apart, using the fabric to implement her designs. 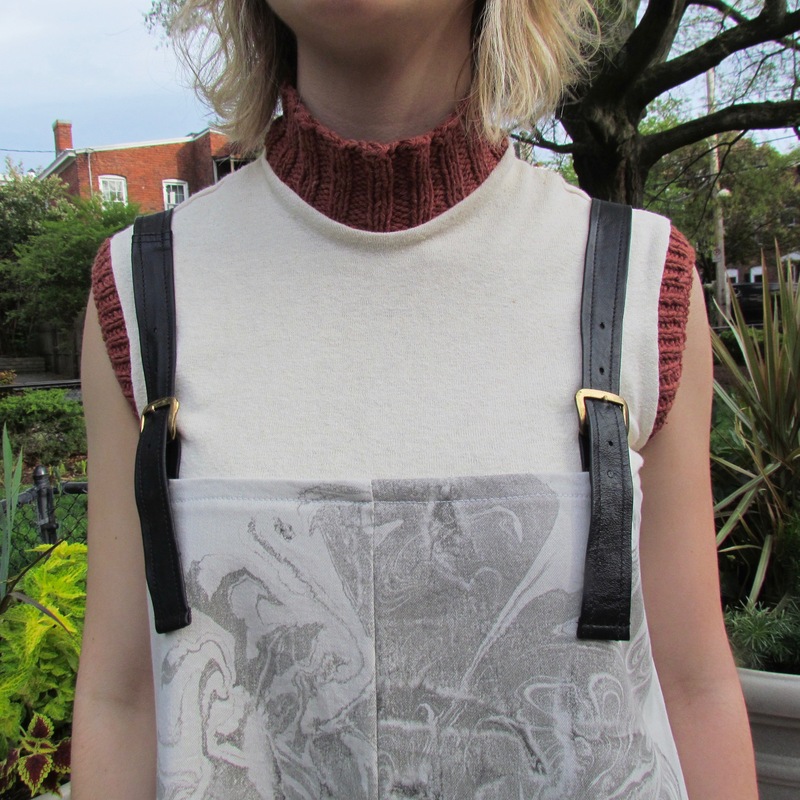 Schraf recently showed her collection “Uncontrollable” at Momentum, VCUarts’ annual fashion show, in early May. All repurposed from thrifted or donated items, her line consisted of garments made from linen, khaki, corduroy, denim, and leather. 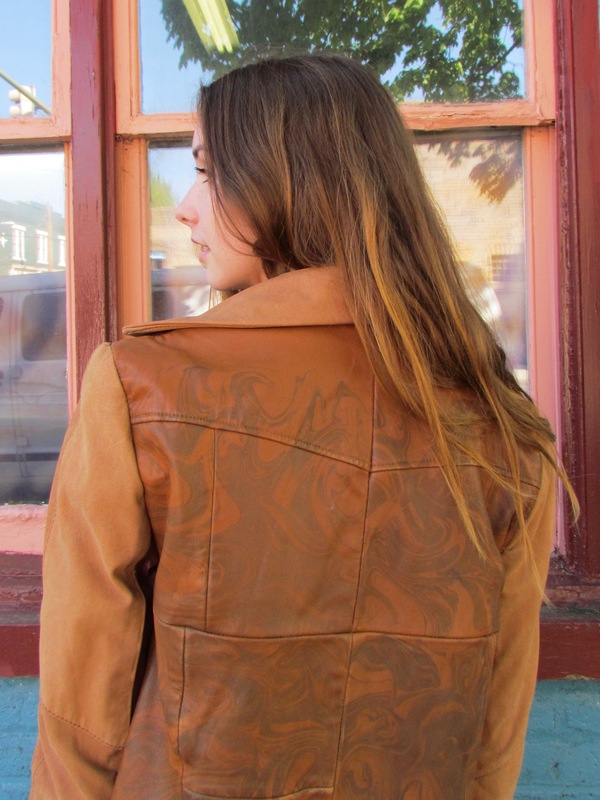 The leather accents on a few of her outfits were recycled from her grandfather’s old leather jackets. The collection’s statement piece was a trench coat upcycled from six different wool coats. Every fabric in Schraf’s collection was reclaimed, except for one – hemp. Created from the fibers of the cannabis plant, hemp acts similar to linen. And in comparison to cotton, it’s an environmentally-conscious alternative. Hemp is a derivative of the cannabis family – but it isn’t the same thing as marijuana. With a lower THC content, no psychoactive qualities, and the ability to grow in most climates, hemp is mainly used for industrial purposes. Hemp uses less water to grow and offers farmers the ability to yield more crops with a smaller field in comparison to cotton. Additionally, the plant doesn’t deplete nutrients in soil after being grown in the same area for a long time – unlike what other crops do. Schraf created a jumpsuit entirely from hemp with leather accents to match her other garments. Using upcycled and sustainable fabrics throughout her collection was a conscious decision of the designer’s to fight the detrimental effects of unethical textile production in today’s fashion industry. Clothing production is largely concentrated in developing Asian countries including Bangladesh, India, and China. Fast fashion manufacturers moved production overseas back in the 1990s for cheap labor to maximize profit. But with cheap labor costs comes consequences in the form of human rights abuses. From workplace harassment to child labor to non-living wages (and sometimes no wages). The unmonitored working conditions in overseas factories are unethical, according to Rupa Singh, owner of mobile boutique Love This RVA, and member of Richmond’s Ethical Style Collective. Singh’s mobile boutique runs out of a vintage airstream trailer which she sets up at different pop-up locations to sell fair trade, ethical fashion brands. According to The Washington Post, garment workers at a clothing factory in China only make a little more than $62 for 60 hours of work each week – $1.03 an hour. In Bangladesh, the minimum wage remained $39 per month until 2013 when the government raised it to $68 per month – about $2 each day. Following the Rana Plaza building collapse in 2013, the ethical fashion movement shot off in response – but companies continue the same manufacturing processes. And human rights isn’t the only area where fast fashion is detrimental. With the fast-paced nature of the industry, the environment suffers as well. Current textile production, from using water and pesticides to harvest crops to dying fabrics with toxic chemicals, takes a toll on the environment. In addition to the environmental costs which come alongside textile production, textile waste poses just as significant a threat. The typical American throws away an average of 80 pounds of clothing each year, according to a 2016 survey conducted by Saver, a global thrift retailer. Saver found 95 percent of the 26 billion pounds of clothing ending up in landfills each year could be reused or recycled. Singh said the fashion industry needs a transition from a linear economy to a circular one. A linear economy follows a piece from clothing from production to purchase to a landfill. A circular economy recycles garments back into the system – so clothes that would have ended up in a landfill are resold or donated. In response to the lack of transparency when it comes to social and environmental consequences of fast fashion, sustainable brands with transparent supply chains have become more popular, nicknamed “slow fashion.” Schraf said investing in your purchases and supporting handmade, slow fashion brands are the best ways to play a part in the move towards a sustainable fashion world. And while supporting slow fashion brands isn’t always possible, both Schraf and Singh said there are simple things everyday people can do to make sure not to contribute to environmental and social deterioration; whether its saving water by running fewer loads of laundry, line-drying your clothes, or thrifting clothes you don’t want anymore and buying from second-hand stores. And for those interested in checking out ethical brands locally, Singh and Schraf recommend Brick & Mortar, Rosewood Clothing, and Verdalina.